Hastelloy C-22 tubing is a good fit for hygienic applications that are typically high value with low tolerance for contamination, as in pharmaceutical and biopharmaceutical industries. CSI's active involvement with ASME-BPE subcommittees has resulted in the development of a stocking program for a complete line of sanitary-grade tubing in Hastelloy C-22. CSI stocks Hastelloy C-22 tubing in sizes from 0.5 inch (12.7 mm) to 3 inches (76.2 mm). Whether you're looking for C-22 tubing, in-stock C-22 fittings, or custom-made equipment in C-22 and other materials, we have you covered. In addition to Hastelloy C-22 tubing and fittings, CSI is ready to supply valves, pumps, and more in a variety of materials. All C-22 tubing from CSI complies with EN10204, 3.1. Sanitary C-22 tubing from CSI all meets dimensional criteria and mechanical properties as set forth per the current ASTM B622 (seamless) or ASTM B626 (welded) specifications. All of CSI's C-22 tubing is marked with a full line stencil on the tube OD for traceability. 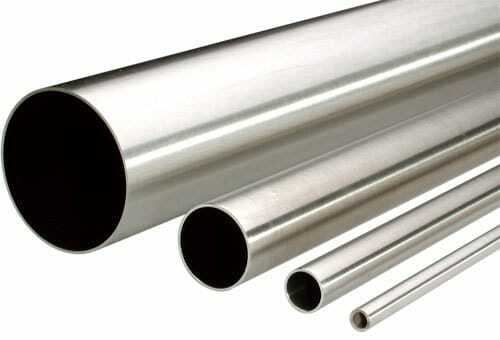 Due to marking, finish, and/or acceptance criteria listed as obtainable on C-22, tubing will not be marked ASME- BPE. Full lengths of polished ID/OD C-22 tubing is also packaged in plastic sleeves and capped with plastic caps to maintain cleanliness. C-22 tubing is provided in random lengths. A full length of tube is no less than 17 feet overall. Lengths of 20 feet plus or minus one inch are typical. All C-22 tubing from CSI complies with EN10204, 3.1. The material test report (MTR) will be provided with the tubing. CSI's standard offering for 1/2 inch through 1" tubing is mechanically polished with an inner diameter (ID) of 20 Ra µ-inch (0.5 µm) and outer diameter (OD) of 32 µ-inch (0.8 µm). 1-1/2 and 2 inch tubing is available with a sanitary finish that is better than traditional commercial grade tube finish, and suitable for applications in sanitary/high purity hygienic industries. 3 inch tubing is available with a mill finish ID and OD. To discuss your application or if you have questions about C-22 tubing, give us a call at 800.654.5635 or 417.831.1411. Literature for Hastelloy C-22 Tubing have been saved to your dashboard! Literature for Hastelloy C-22 Tubing are already in your dashboard.